Reading and Speaking task about timetables and question words. 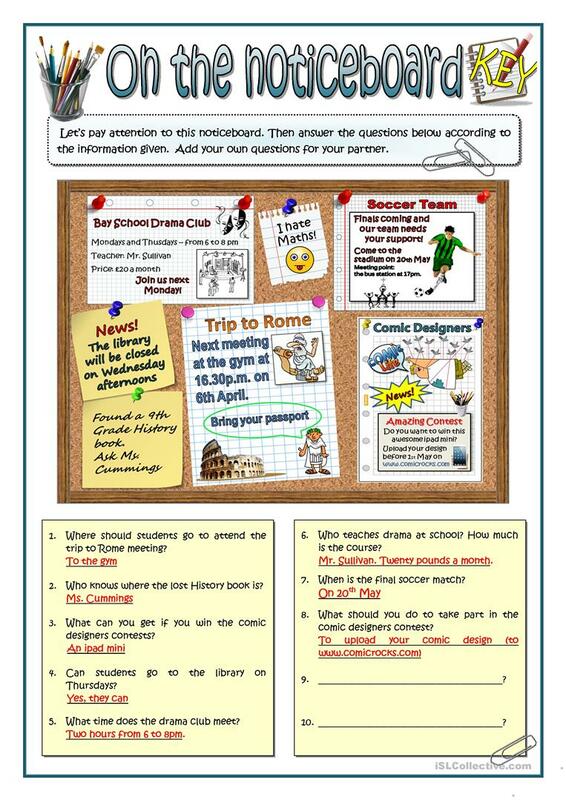 Students pay attention to this noticeboard and then they answer the questions below according to the information given. Then they add their own questions for partners. Key provided. The present downloadable worksheet is a great resource for high school students, elementary school students and adults at Elementary (A1) and Pre-intermediate (A2) level. 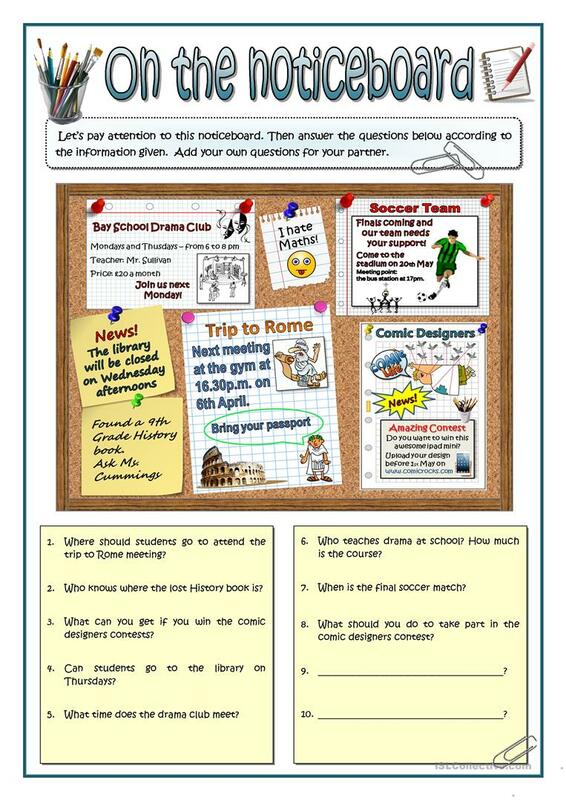 It is a useful material for practising Question words and Questions (interrogative) in English, and is useful for improving your pupils' Speaking and Reading skills. It focuses on the theme of School and Sports. The exercises come with answers.